PRODUCT REVIEW - Necomimi Brainwave Cat Ears: The Cat's Meow? This is the debut blog from my new blogette, Yvonne! (@Yvonks), reviewing the product and a launch party that we went to together at the SoHo House in Los Angeles this past Friday night. Enjoy, and make sure to give her your feedback! Cheers. In my opinion, you don't ask questions. You RSVP with the faith that if nothing else, you'll end the night with a good story tell. Meet @Yvonks, My Hot New Blogette! Everyone, let's welcome Yvonne (aka @Yvonks), my new blogette, aka, another fresh POV on all things Geeky proudly brought to you on this blog. Yvonne is a bright, young mind, with lots of quirky interests, most of which we share. (Except for her strange love of Jackie Chan. Who I respect, no doubt, yet I'm not obsessed with him as she is). But never mind that. I hope to bring you lots of great posts written by her (which will be tagged @Yvonks) as we expand the GeekGilr power here on the blog. Stay tuned later tonight for her review of the kooky product on her head in the above photo. Yes, I have a pair too and stay tuned for my review shortly to follow. 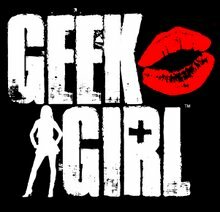 Here's to a fresh new look and feel for GeekGirl. 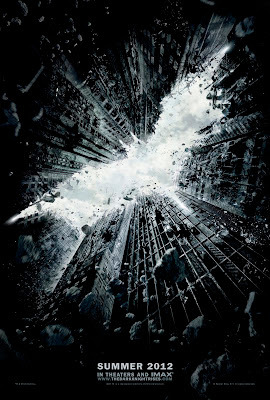 I just went to see The Dark Knight Rises. At a matinee in a large theatre in Downtown Los Angeles. Before I give you my review, I have to address the obvious question: was I scared, in real life, to go see this movie? What happened at the theatre that was different from the norm? Last Sunday, if i had asked that question, you'd all think i was insane. But today, on this very day, I can't say that there wasn't a slight tinge of worry in me, given this weeks' assault on humanity in Aurora, Colorado at a midnight show of the film. But, appropriately in line with the battle of Good vs. Evil that is present in any comic book or sci-fi based piece of work, life in the spirit of living on world won. Ironically, during the first big scene where Anne Hathaway's Catwoman is involved--the very scene during which the massacre in Colorado happened--it was at that moment that I allowed myself to be released of my real-world fear and escaped into the film. In light of today's terrible tragedy in Aurora, Colorado, I wanted to take a moment to share the above words of comfort and condolence that the great George Takei (Sulu on Star Trek: The Original Series), posted on his always-funny and thoughtful Facebook page. As a lover of sci-fi and, well, of LIFE in general, I stand with George Takei and mourn the terrible strike against humanity that occurred today. Those of us here at GeekGirl have the victims and their families in our thoughts and hearts today, and we can't help but feel that in moments like this, we should all take a moment out of our busy lives to tell the people who we love that we love them...even if it's just a "poke" on FB, a Tweet or a text message. Better yet, a hug or a phone call. I know it's been a while, but i have some super-exciting stuff coming up that is just PERFECT for the GeekGirl blog, so i thought I'd get the machine up and running again! Post your guesses below or tweet them at me! Plus, stay tuned, and I will be live Tweeting tonight from the event! Follow me on Twitter: @GeekGirlKnows. Secondly, I'm also bringing my brand new, saucy minx of a blogette, Yvonne, who has just joined the Twitterverse...help me welcome her and give her a shout! Here's her handle @Yvonks. I've got big plans for her, as she's going to start posting guest blogs and covering all the geeky, Sci-Fi fun stuff that we both share with each other everyday. Plus, she's HOT. Pics to come from the event tonight! Lastly, I've decided to try something new, and expand my area of service to you guys, who I am passionate about helping, learning from, and sharing information with! I will be announcing that right here on the GeekGirl blog and my SundayLA blog (it's a joint venture!) this Sunday, so check back then!